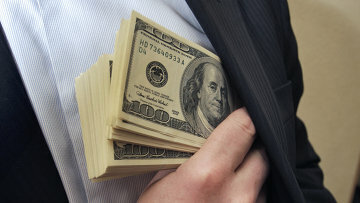 Ex-Russian judge and attorney suspected of corruption | Russian Legal Information Agency (RAPSI). MOSCOW, November 2 (RAPSI) – Chairman of Russia’s Investigative Committee Alexander Bastrykin has opened a bribery case against a former magistrate judge from Sochi and a lawyer, the Investigative Committee’s website reads. According to investigators, the suspects have acted as intermedia in giving a bribe for a wanted court ruling concerning assignment of land lease rights. The Investigative Committee found that the Lazarevsky Court in Sochi had declared a land lease deal invalid upon a civil claim; and the ruling had taken effect. One of the parties to the dispute objected to the ruling and asked the attorney to assist with further challenging. The lawyer in turn applied to the magistrate judge, who promised him to persuade justice officials to overturn the ruling for 2 million rubles, investigators said. However, the attorney and the judge told the appellant that he must pay 3.5 million rubles ($53,000); the rest of money they decided to take into their hands. The suspects were arrested in March 2017.